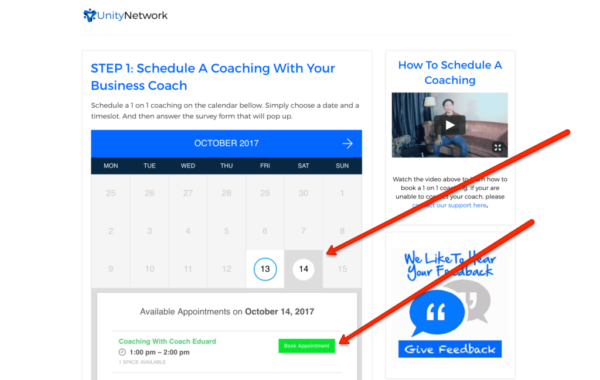 STEP 1: Book A Coaching Schedule With Your Coach – On the right side of your account, you’ll see a “BOOK A COACHING” button. 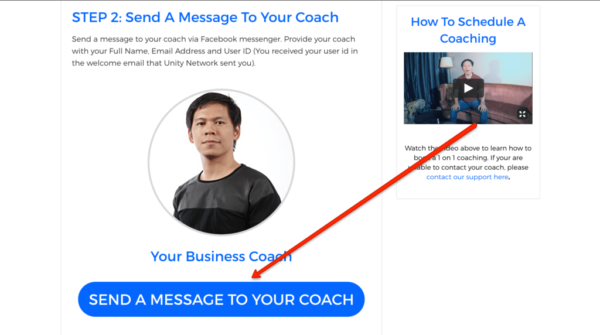 Simply click that button to schedule your 1 on 1 coaching. 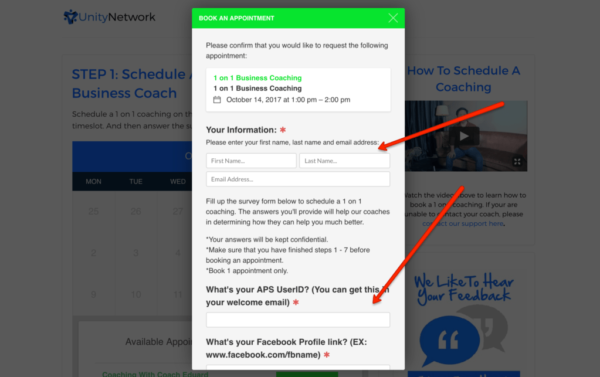 IMPORTANT: Make sure that you’re already finished with STEPS 1 to STEP 10 before scheduling your appointment. I’m one of your coaching students. I already scheduled a 1 on 1 coaching. My User ID is: _________________________. See you in our coaching schedule.